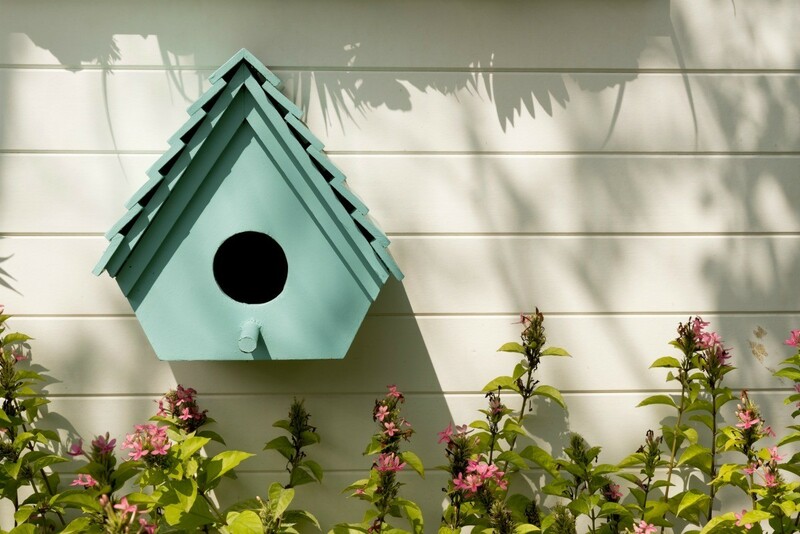 Birdhouses placed about your garden can encourage a variety of birds to set up housekeeping. 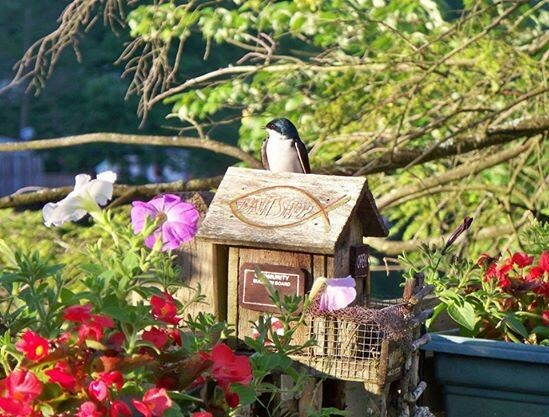 This is a guide about garden birdhouses. My Dad was very handy and the house and yard had lots of his handiwork. He passed away in 2008, so all of these things hold even more special meaning to us. 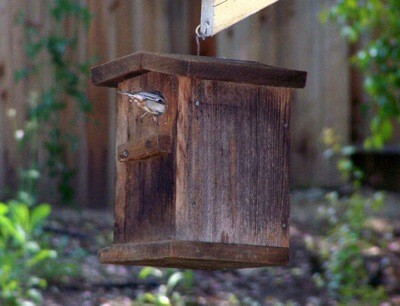 We brought this birdhouse to our new home when we moved my mother last year. We were so excited to see that a mama (or daddy) bird had built a nest in the birdhouse and there was one or more little ones. We can't see inside, but we hear them and see that the parents are feeding them. This is a picture of a old shed in my yard that my husband painted. My favorite flowers are blooming, Peonies. The birdhouse was made by my husband's father that is deceased now and my grandson painted it for us. This is a deck garden with an ornamental birdhouse on the railing. Last summer it was claimed by a couple who used it to start their family! The close proximity to humans didn't bother them at all. This birdhouse was constructed from an old barn that was torn down, the metal roof of the birdhouse is from the old barn also. 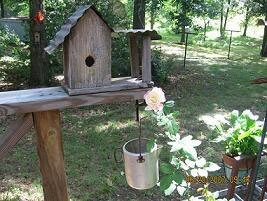 This birdhouse sits on the deck ledge next to my beautiful tearose. 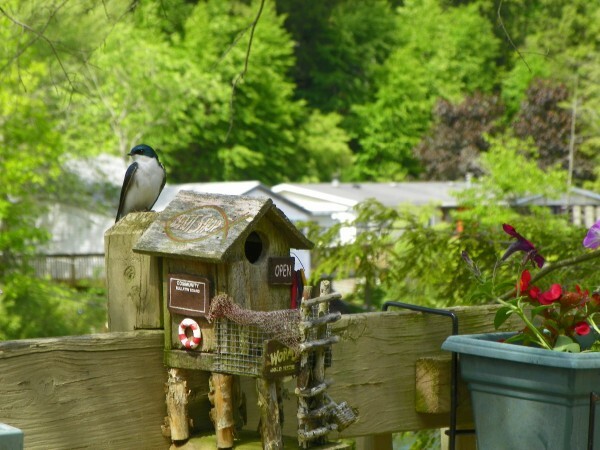 Prior to mating season is a good time to ready your birdhouses for your feathered visitors. A thorough examination and cleaning of the houses will ensure their continuing return to your garden. This is a guide about preparing bird houses for spring.